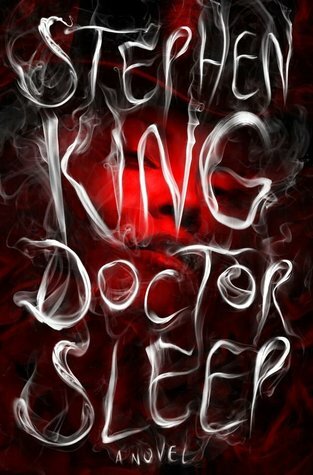 We all know that I love Stephen King, which is what makes this so hard for me to say:Doctor Sleep is a terrible, terrible novel that is disrespectful to the previously untarnished memory of its predecessor. That was really verbose, but it needed said. Awesome. And then, just as suddenly, not so awesome. King switches gears and introduces a rambling troop of vampires known as the True Knot. Okay, I guesstechnically they are not vampires, but they follow the same basic concept, just instead of feeding on blood, they feed on the essence of children with the shining (referred to as “steam”). Enter Abra, a little girl who shines a lot, perhaps even brighter than Danny did. The True Knot is hot on her trail, and only Danny can save her! Gasp! Let’s start with something positive: I did like the novel’s early reference to Charlie Manx, the antagonist of Joe Hill’s N0S4A2. Hill is Stephen King’s son; the very son thatThe Shining was dedicated to upon its original publication. We’ve come full circle. The True Knot ruins this book. I understand that a new element had to be added, butvampires? I’m not sure which direction I expected this book to go in, but that certainly wasn’t it. Moreover, I know I was supposed to like Abra, but I didn’t. I adored Danny as a child in The Shining; he elicited such empathy, and I genuinely cared about his wellbeing. Abra just feels like a cheap knockoff, a generic version of Danny Torrance. Maybe it’s because she is a bit older and more self-aware, whereas Danny was just coming into an understanding of his abilities. Whatever the reason, I did not like her, so I was annoyed that Danny risked his life for her because, in spite of the offensive plot, I still love Danny. Really, it can’t be helped. I try to pretend that Doctor Sleep never happened, but once innocence is lost, it can never be reclaimed. Don’t read this book – don’t make my mistakes. Stop at The Shiningand draw your own conclusions regarding Danny’s fate – they are bound to be better than what King dreamt up in this lackluster sequel.